Think ahead – Investing in a 401(k) is something every recent grad should do, but very few head these words of wisdom. A 401(k) allows you to defer (or invest) a portion of you income, pre-tax, to you retirement plan. It's a sweet deal later on down the road. Do it yourself – If you're employer does not offer a 401(k) plan, set up your own IRA. It's a retirement plan that you invest in yourself, and there are many different plans with a variety of investment options. Start early – Open a 401(k) or IRA as soon as you start your first job after graduation. If your employer doesn't offer one, contribute to an IRA earlier in the year to take advantage of more months of interest. Shop around - Some IRA companies may charge fees to maintain your account, or to switch providers. Do some comparison shopping before you choose your account. Be Comfortable – Don't go into credit card debt trying to save for the future. But if you can, you should at least contribute up the maximum company match. Anything less is literally throwing away free money. So it’s the first day of work and HR asks whether or not you want to open up a 401(k) retirement account. “Heaven’s to Betsy” you say in your most petulant grandfatherly voice: why the hell do I need a retirement account? Ahh…so you say that now. But what happens when you’re 50 years old and realize that had you contributed a measly $100 a month to an account earning a reasonably conservative 6% interest rate, you could have been sitting on a cool $120,000. Not exactly a chunk of change to shake a cane at. But there’s more. Firstly, each of those piddly $100 contributions is tax free, meaning that had you not deposited them into the account, you would have only received about $60 to spend. Secondly, your employer (depending on their level of altruism) will frequently match those contributions up to a certain amount (usually between $1,000 and $2,000 a year). So now you’re talking close to a quarter of a million dollars, half of which was free!!!! Alright, so there’s a little more to it than that, but that’s the basic gist. Statistics show that you need about 75% of your pre-retirement income to maintain a similar standard of living. So if you're making $150,000 a year, retire at 60, and stick around until you're 90, you'll need to save over $3,000,000. Here's are two easy ways you can make you can make that happen. A 401(k) is a retirement plan set up by employers that allows employees to defer (or invest) a portion of their income, pre-tax, to their plan. For example, if you make $45,000 a year, and contribute $2,000 to our 401(k), then you will only be taxed on $43,000 of your salary at the end of the year. Taxes on $2,000 are paid later when you take out the money during retirement. So why bother contributing? 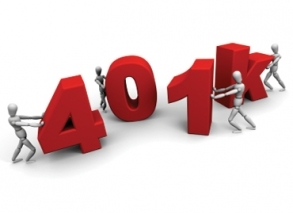 A 401(k) is like a savings account on steroids. Because your deferral is pre-tax, it means you have more money to contribute, and a larger account grows faster. Further, employers often “match” or contribute a percentage of your deferral as well. But don’t think that this is just some cash give-away-free-for-all. There are rules. First, the money can’t be withdrawn before the age of 59.5, unless there is an extenuating circumstance, such as serious financial hardship or disability. Otherwise, early withdrawals are subject to a 10% penalty, paid to the IRS. However, if you need to withdraw the money, as a result of the tax deferment on interest, the penalty isn’t significant. If your employer is also matching your funds, then the penalty is negligible. The maximum current amount that can be invested each year is $15,000, as stated by the IRS. However, that number changes pretty regularly so check with your employer to figure out what the exact numbers are. But what if you leave your job? Well, it doesn’t really matter. You get to keep everything you’ve put in your account plus whatever portion of the money your employer has matched. And there are no penalties for moving your current 401(k) to another one when you switch jobs. Conclusion: a 401(k) can earn you free money from both your employer and the government. Plus, it comes with almost no risk. Surprisingly, most recent grads still ignore it. You do you think you are, James Dean!?!? If you are not a part of the lucky crowd whose employers offer such sweet 401(k) deals, that still doesn’t mean you’re totally out of the retirement free money game. IRA stands for Individual Retirement Account; individual because it is set up by, well, an individual, rather than your employer. Similar to a 401(k), the individual will have a number of investment options for his/her contributions, managed by a third party. Contributions for a year can be made at anytime prior to tax day (April 15). IRAs are also subject to a variety of rules and regulations, depending on the type. There are many different types of IRA’s, but the most popular one is the ROTH IRA, which has been the coolest kid in the class for a few years now. That’s because it’s the most flexible, and unlike other IRAs, if you decide to withdraw the money before you’re 59.5, there’s no nasty 10% penalty (if the account has been open for five years). Unlike contributions to a 401(k) or traditional IRA, contributions to a ROTH IRA are not tax deductible, but you don’t have to pay any taxes when you withdraw money down the road. Pretty sweet. Now remember any IRA is an individual account and must be set up by an individual. So where do you begin? IRAs can be set up in a few places, like banks, brokerage firms, etc. To set up an IRA, visit the Fairmark’s guide for some tips and tricks. You wouldn't believe, but according to a brand new study, more than one in four Americans with retirement savings accounts is raiding those funds before retirement just to pay the bills. Read more here: More Americans dipping into retirement accounts to get by.